Big MK, the country's newest Online store and the 1st marketplace to offered commission free based online store. The BigMK planed to compete with the other leading online based store such as Lazada and OLX. 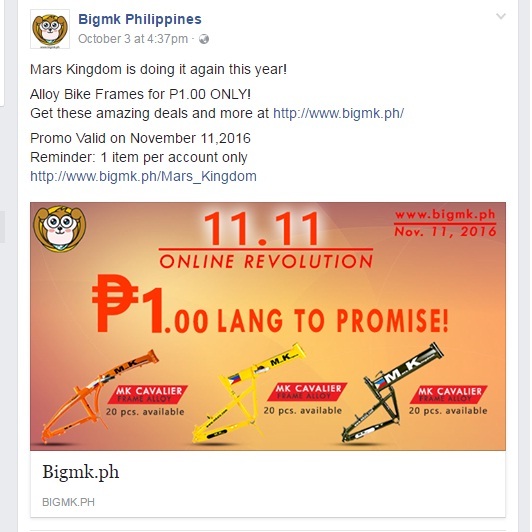 As the BigMK officially running their e-market store, they will be having their 1st major event Sale, the 11 - 11 Online Revolution Sale. BigMK will be having a Piso Sale on some of their products, one of the consumers really love is the selling of MK Bike Frame at one peso. 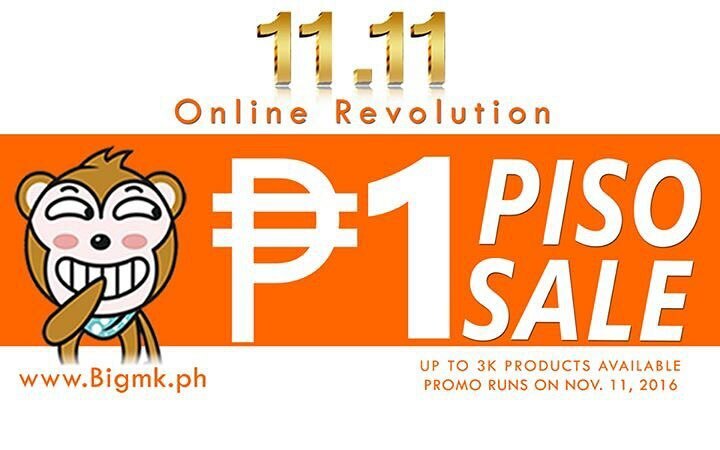 To learn more about the BigMK 11-11 Sale and other promo, visit BigMK.ph.